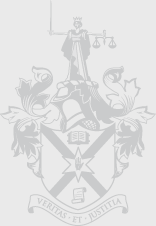 The Law Society of Northern Ireland, in conjunction with Law Society (NI) Financial Advice Ltd, is once again delivering a comprehensive series of CPD sessions which will be of benefit to practitioners. To increase accessibility the sessions will take place in a variety of locations and at various different stages of the year. · Business Protection for partnerships and limited companies. Case studies will be used to highlight opportunities and vulnerabilities. · Treatment of the home if elderly care is required.